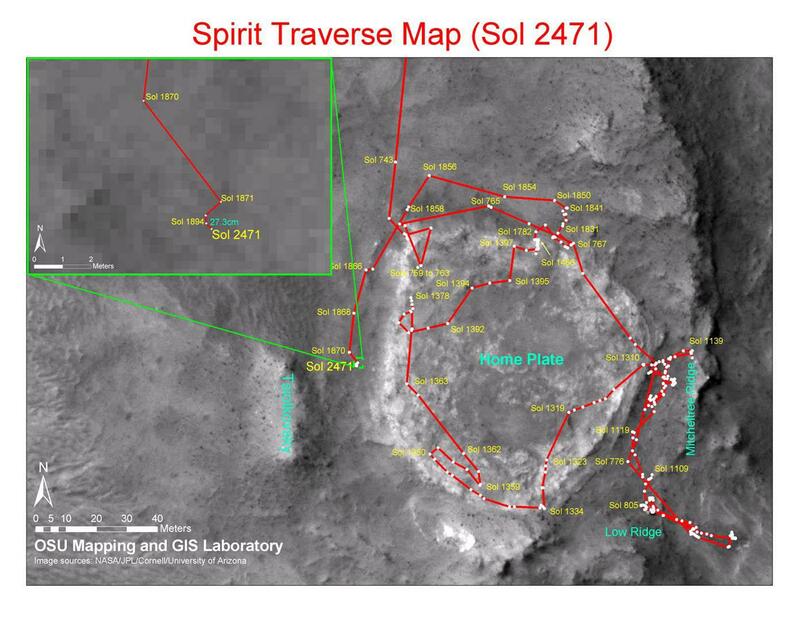 This map shows the path that NASA's Mars Exploration Rover Spirit followed from the 743rd Martian day, or sol, of its work on Mars (Feb. 4, 2009) to Sol 2471 (Dec. 15, 2010). 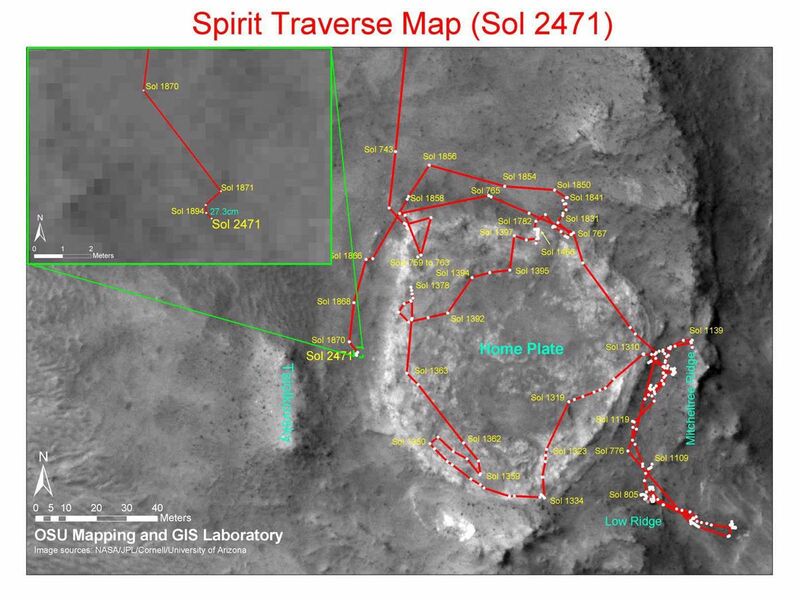 Spirit has been at a sand-trap location called "Troy" since April 2009 and has not communicated since March 2010. 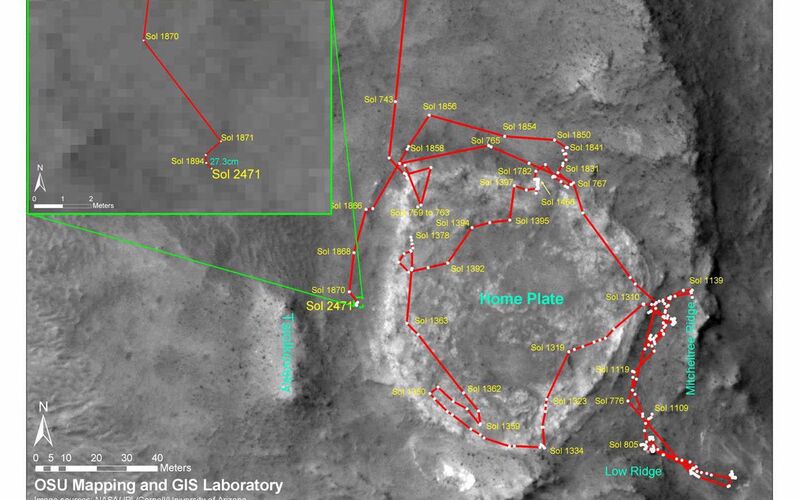 Communication attempts continue because the rover may be in a low-power hibernation mode and able to resume communications when available solar power increases during southern Mars spring. The base map is imagery from the Context Camera on NASA's Mars Reconnaissance Orbiter. 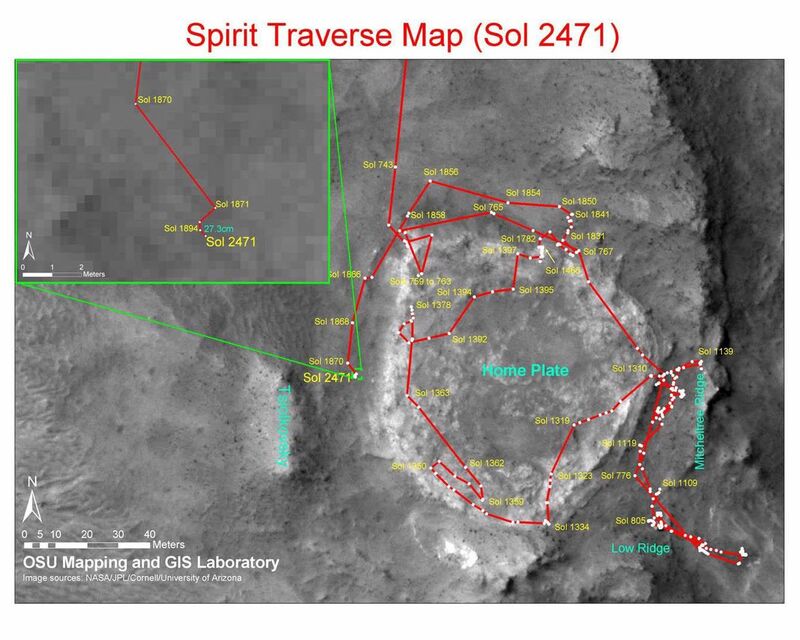 Spirit completed its three-month prime mission in April 2004. Image credit: NASA/JPL-Caltech/MSSS/Cornell/Ohio State Univ.